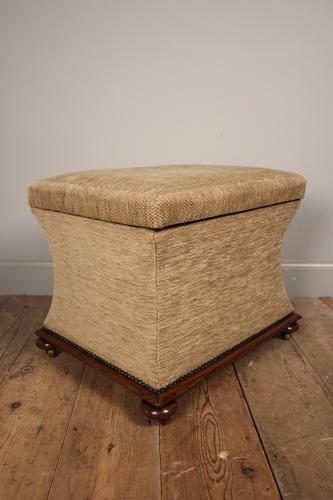 A neatly proportioned small Ottoman, having a Rosewood trim and raised on squat bun feet. The lid lifts up to reveal a cotton lined interior, currently upholstered in a pale olive green fabric , not newly upholstered but clean and presentable. English, Mid Victorian.